When hiring a contractor it is helpful to find someone with experience in constructing a greenhouse. One of the most common mistakes people make is trusting a contractor without specific experience in building greenhouses to do the design too. This may result in in poor cooling, the use of improper building materials that can’t withstand the humidity and temperature swings, and poor lighting. If you can’t find a contractor with experience be sure to read everything you can on constructing a greenhouse. 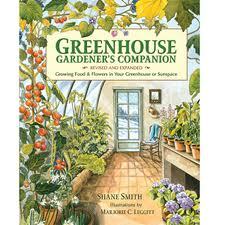 The first few chapters of the Greenhouse Gardener’s Companion can be a big help. Also visit at length with experts at greenhouse material companies such as Charley’s Greenhouse & Garden and Sundance Supply. Here are some google search tips on hiring a contractor. This entry was posted in Construction & Maintenance, The Blog by shane. Bookmark the permalink.